Listed financial technology and ATM company Stargroup has reported a strong half-year result, featuring their best-ever revenue result of more than $4 million. For the six months to December, the Perth-based company reported a 228 per cent surge in revenue, compared to the first half of 2016. The surge was largely driven by record revenues from the ATM network. The company said ATM network revenues were up 205 per cent to $3.1m in the six months to December while ATM and EFTPOS product revenues lifted 452 per cent to $851,470. EBITDA was up 64 per cent on the prior half-year result however the bottom line still reflected a statutory loss of nearly $1.5 million in the first half, which the company attributed to one off acquisition and financing costs and accelerated depreciation on ATM networks purchased in fiscal 2016. Stargroup’s CEO and Executive Chairman Todd Zani said: “The 1HY17 results reflect a significant improvement in all of our key divisions with our ATM network revenues and also our ATM and EFTPOS product revenues being at record levels … if not for a number of one off costs in the first half this would have been our first positive EBITDA result. 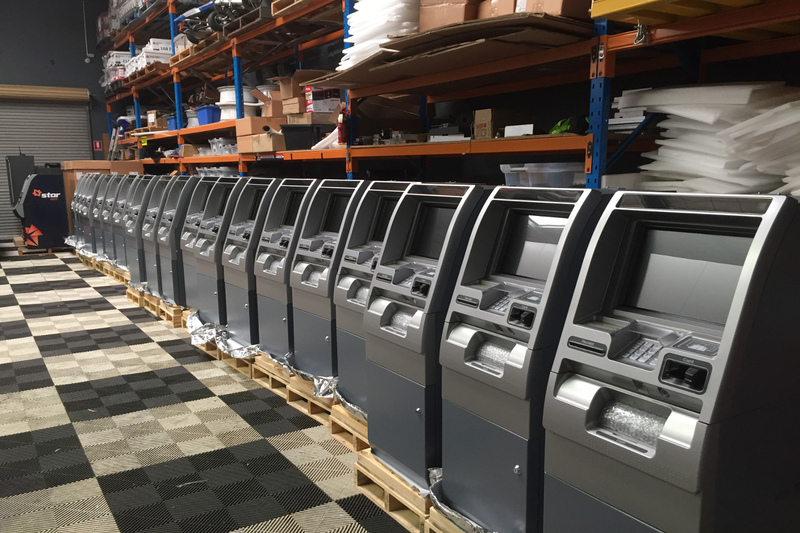 Stargroup, which is dual listed on the ASX and Frankfurt Stock Exchange, is the only ASX listed company deploying ATM machines in Australia and has around 300 machines on the streets nationwide. It also has an 11 per cent interest in NeoICP Korea Inc, a manufacturer of back office payment solutions and ATM machines. Stargroup said further positive signals for the second half of 2017 included the completion of the Indue ATM business acquisition, which company management flagged for March 13th, 2017. This is forecast to generate additional annual revenues of $4.1 million and EBITDA of $1.7 million. Stargroup are also predicting a massive cost saving from their new cash convenience agreement signed with Goldfields Money. The company is predicting a saving of more than $650,000 a year from this deal.